Do you know an non-reader, a struggling reader, or a reluctant reader? Do you have children, grandchildren, neighbors, nieces or nephews learning how to read? Turn them on to graphic novels. Scholarly studies are showing that the combination of pictures and words aids comprehension and vocabulary for struggling readers. With their clever and entertaining illustrations, condensed text, and unique formats, graphic novels can effectively communicate complex ideas. The University of Detroit Mercy Libraries has been collecting graphic novels for several years. 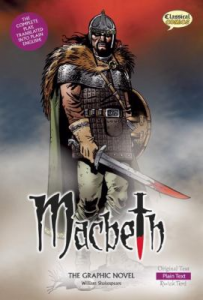 The collection includes reconstructions of the classics, such as Macbeth: the Graphic Novel, Fyodor Dostoevsky’s Crime and Punishment: a Graphic Novel, or Romeo and Juliet: the Graphic Novel. 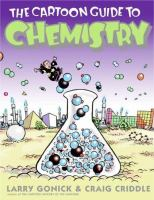 Other graphic novels teach traditional school subjects, such as The Manga Guide to Calculus and other manga guides to statistics, electricity, and physics. And graphic novels can be read for purely entertainment purposes, such as Star Trek. Countdown, Star Wars, the Force Unleashed. II, or Big Nate Goes for Broke. To find graphic novels in the Detroit Mercy catalog, go to research.udmercy.edu and type graphic novels in the search box. Click Search.